Ever have one of those projects you never tackle? Yeah, I have a lot of those around my house. More than I care to admit. One weekend my husband was gone, the baby was napping, and I felt that I should tackle one of those jobs. So I put my daughter in front of the TV with some Little Bear on and headed to the bathroom to try a grout cleaning method I read on Tammy’s Recipes. Step 1: Sprinkle baking soda in the grout on a section of floor. Step 2: Pour hydrogen peroxide over it. 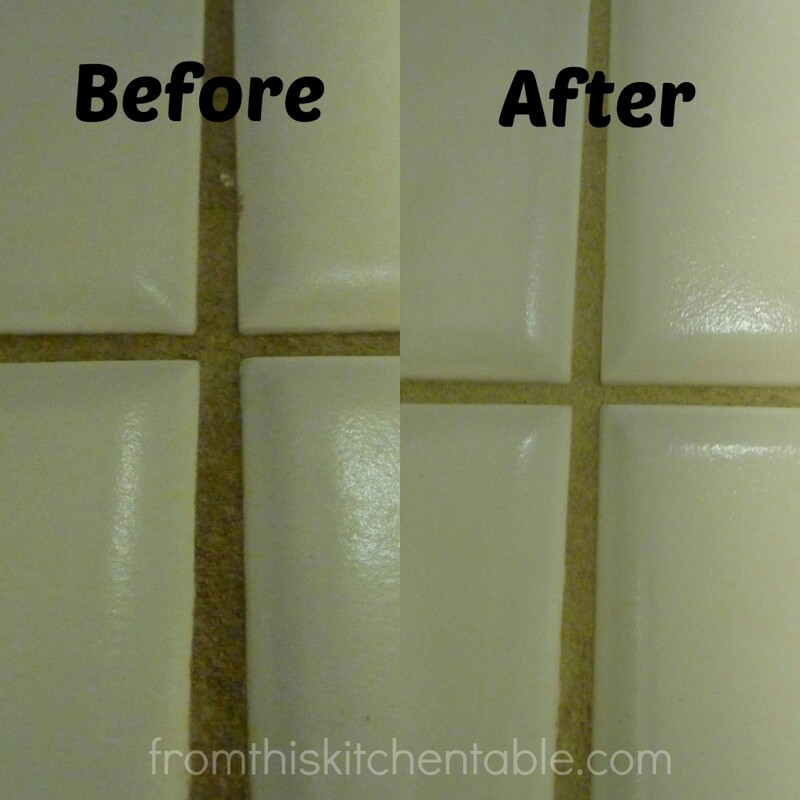 Step 3: While you let the peroxide and baking soda soak repeat steps 1 and 2 on the next section of tile. Step 5: Repeat until the floor is finished. Warning: Your legs and clothes will turn white from the baking soda. It was a couple of hours of hard work but my goodness what an improvement. I probably should do it a little more often then every three plus years. This entry was posted in Uncategorized on November 6, 2013 by Deanna Michaels. I needed this…my husband thinks I’m terribly at cleaning the tile! Ha ha. I am too. 🙂 And my steam mop just broke so I’ve gotten even worse. . . Thank you for sharing this! I just pinned it so I can work this magic on my floors. We never sealed our grout and it is a mess now! Our grout is horrible. I hadn’t cleaned it the 3 plus years we’ve lived here and I highly doubt the older gentleman we bought from did either. I’m wondering if this grout isn’t sealed either. Hmm, I might have to look into it. Thanks for stopping by. 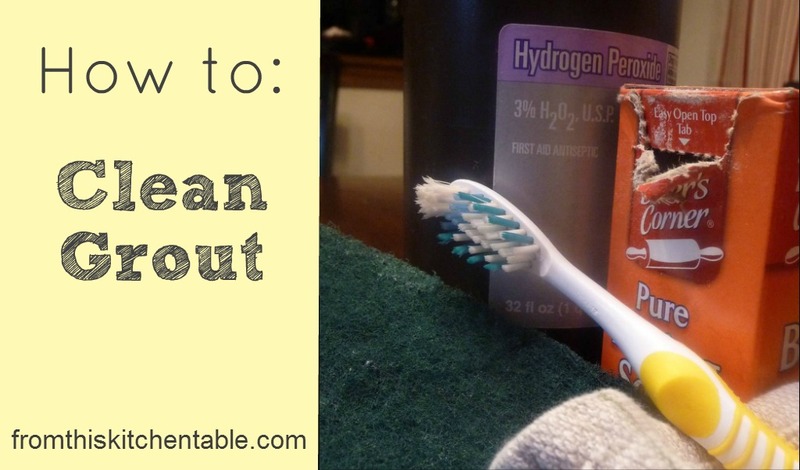 Hydrogen Peroxide – of course! now why did I not know this? I’ll be using this right away, getting the house ready for a houseful Thanksgiving weekend! Yes! I didn’t think of it either. I was excited to try it when I was Tammy post on it. Our grout definitely needed the help. Hooray for holidays and lots of company. Thanks for stopping by. 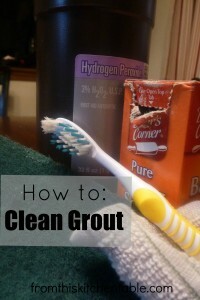 I’m lucky to not have any tile and grout in my house but this looks like a really useful tip. 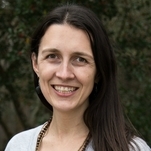 Thanks for sharing on the weekend re-Treat link Party. I have to go try this now! Pinned it! Thanks for sharing it at Cornerstone Confessions! Thanks for stopping by! It really helped our bathroom floor a lot and I love that it’s all things I already have. Wow, what a difference! I’ve been meaning to do this, I also haven’t done this in the almost 4 years that we’ve lived here! It was a crazy difference. A bit of work, but it got the job done! 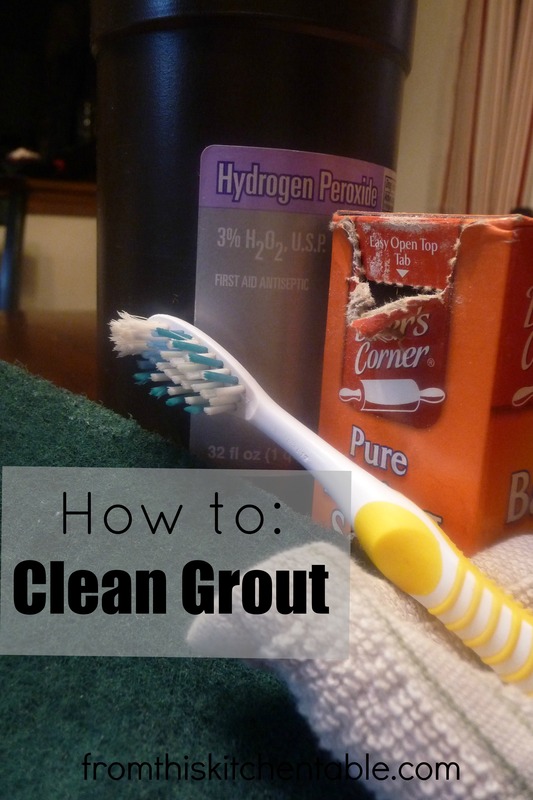 I had always wondered how baking soda and peroxide would do on cleaning grout. I am so excited to see it works so well! Can’t wait to give it a try. It works super well! Now I just need to tackle my other bathroom. Thankfully it’s not as bad so hopefully I won’t have to scrub as hard. The grout in our bathroom is old and yucky. Gonna have to try this! Thank you for linking up to Healthy 2Day Wednesday! Ours was nasty too! This helped so much. I probably should do it again. 🙂 Thanks for hosting and I appreciate you featuring me!